Theda Carter Wexler, 88, of East Ridge died Thursday, August 30, 2018 in a local hospital. Born in Kingsport, TN to the late Oscar Franklin and Cora Jennings Carter, she attended Virginia Intermont College, Bristol, VA.
For 15 years she volunteered in the Cancer Center at Memorial Hospital as a member of the Auxiliary and was formerly active in the Hickory Valley Garden Club. She was a devoted 50 year member at Brainerd United Methodist Church and was active in the Friendship class. In additional to her parents, she was preceded in death by sister, Wilma Dobyns; brother, Oscar F. Carter. Jr. and her beloved husband of 38 years, Ralph Vincent Wexler. Frank (Cody) , and Emily; four great-grandchildren; nephew, Franklin Carter; nieces, Diane Blair, Theda Gilmore, and Theda Grimm. 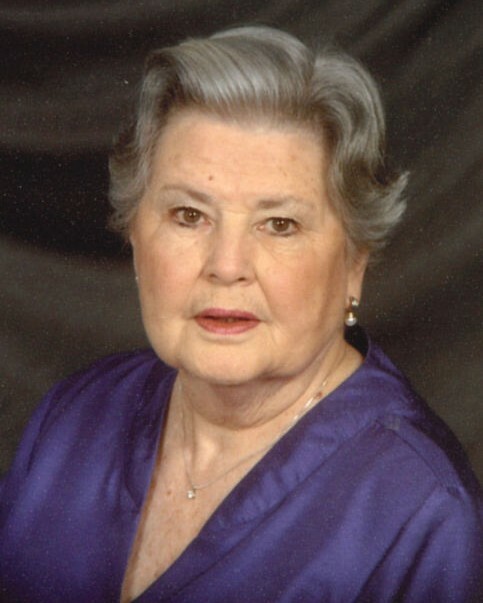 Theda was also blessed with extra ordinary friends and neighbors throughout her life as she made many lifelong friends. Services will be held on Tuesday, September 4 at 1 PM in the funeral home chapel. Burial will be at the Chattanooga National Cemetery. Memorial contributions may be made to Brainerd United Methodist Church. Visit heritagechattanooga.com to share condolences to the family. Arrangements are by Heritage Funeral Home, 7454 E. Brainerd Rd.